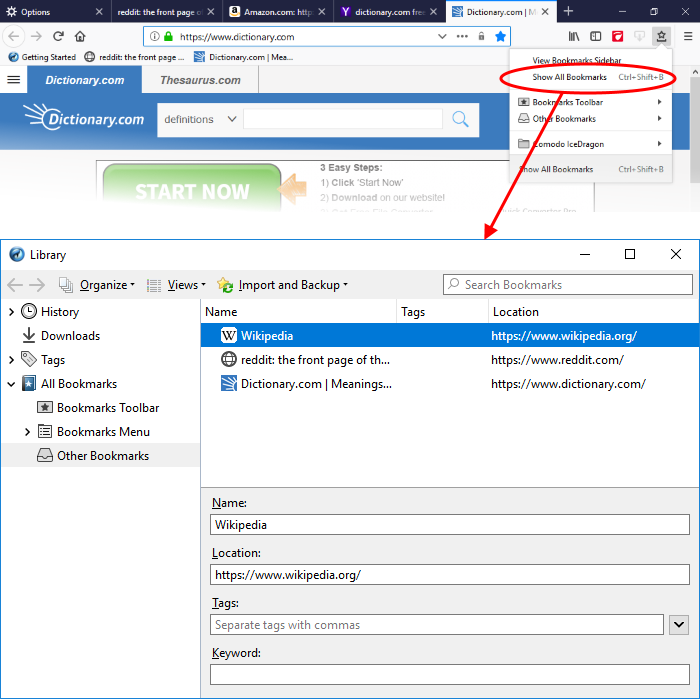 Comodo IceDragon allows you to organize your bookmarks as required. From here you can edit, delete or rename bookmarks and folders. Enter the bookmark name in the search box from the Side bar. You can also right-click on the desired location and add a new folder from the menu.